Located in the center of the city, Belgaum fort stands tall, strong with its bastions and wall built in an artistic fashion. On the outer side of the wall there is a deep trench which is always filled with water. Venugram is the ancient name of Belgaum. 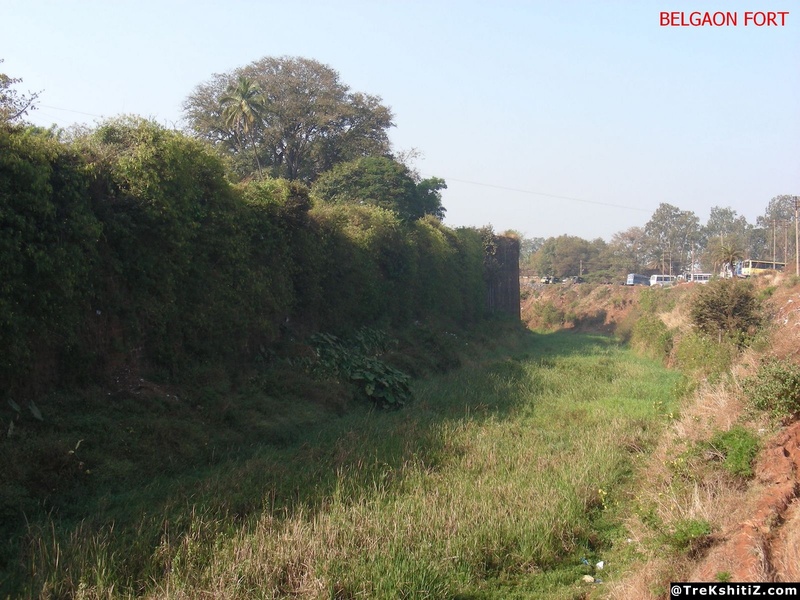 The main fort of Belgaum was built in the 13th century during the Ratt Dynasty. Belgaum was ruled by many dynasty who modified and expanded the fort as per the conditions prevailing during their times. The rulers were - King of Vijaynagar, Adilshah, Marathas and the British. Bijapur's Adilshah Yakub Ali Khan is known for his significant contribution towards building the fort wall and the trench. The fort was used as a military base during the British rule. Mahatma Gandhi was known to be imprisoned here during the Pre independence era. To put an end to the rebel of the people on Samangad fort, in 1844, the Britishers attacked Samangad from this fort. Post-independence, this fort has been used as a camp by The Maratha Light Infantry of the Indian Army. After entering the main door, towards the right, there is an ancient temple of Goddess Amba and Lord Ganesh. One can find many porches built for the guards. There are many monuments built in the fort during the Adilshah regime. Further, towards the left, there are offices of the Public Construction Works department. Moving ahead, one comes across an arch shaped entrance and further to that there is a camp of The Maratha Light Infantry and the training unit of the Indian Army. Next to the training centre, there is a Jain temple called Kamal Basti. Built in black granite rock this temple is a beautiful example of the Chalukya architecture. There is an idol of Lord Neminath. There is also chandelier made of rock which is worth seeing. The temple was redeveloped and renovated by the Archeological Society of India. There are many Hindu temples depicting Chalukyan architecture however, the idols of Gods and Goddesses in these temples are missing. There are also two mosques which were built in the Adilshahi era called Safa and Jamiya. �	Sambre village has an aviation training center of the Indian Air Force. �	Balekundri village is an important place of worship for the devotees of Lord Dattatreya. There is also a shrine of Balekundri Maharaj in the same village. �	Gokak town near Belgaum has a famous waterfall on the Ghataprabha river. �	Angol town is home to the shrine of Kalavati Aai. �	The 11th descendent of Subehdar Tanaji Malusare, Shri Balkrishna Malusare, resides in Raghunath Peth in Angol town. There is a small fort built on a hill in Kakti village which is the hometown of the queen of Kittur, Queen Chenamma. It is 5 kms from Belgaum towards Kolhapur. The fort is located in the center of the city and is very near to the bus depot. Water is available on the fort.